There are so many amazing things your Mac can do. And so many ways to learn about them. Just visit apple.com/findouthow or any Apple Retail Store, and we’ll give you the help you need to get the most from your Mac. Learn your way around your Mac in just a few minutes. Shop the Mac App Store. Browse and download over a thousand apps from the Mac App Store. Shop for apps by category, read user reviews, and buy apps in one simple step. Not only can you find all things Mac at the Apple Retail&nbsp;Store, you can also join us for free workshops each week. We cover a variety of topics from Mac basics to organizing your photos and more. Extend your 90-day complimentary telephone technical support and one-year hardware service coverage to three years from your computer’s purchase date with the AppleCare Protection Plan. The AppleCare Protection Plan must be purchased within the computer’s one-year warranty term. For further details, please review terms and conditions. This email does not serve as proof of purchase. Some features, applications, and services are not available in all areas. Application availability and pricing are subject to change. 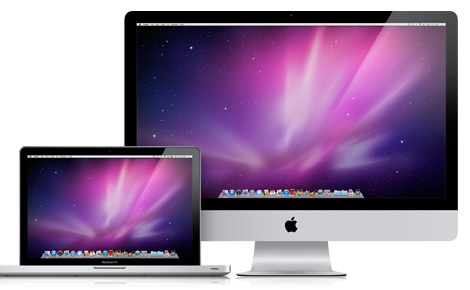 The Mac App Store is available only to persons age 13 or older in the U.S. and many other countries. Requires compatible hardware and software and Internet access; broadband recommended (fees may apply). This is a transactional email. If you prefer not to receive commercial email from Apple, please click here.